Internet related crimes are becoming increasingly common. On a regular basis those who watch the news hear about the latest high profile “hack.” One does not have to steal government or corporate secrets, however, to be charged with an computer related offense. The Federal Government, or the state of Arizona, will bring such charges against a person who has either used the internet to steal from another or who has used the web to take over or damage another person’s computer network. Trials over such matters can quickly become complicated as they involve sophisticated technology and expert testimony. If you have been accused of such an offense then you need a defense lawyer with a high level of attention to detail. Phoenix attorney Bretton Barber is able to assist in such matters. Call our office today. A key defense point in these types of cases is whether there has been an illegal search and seizure which violated one’s rights. If evidence was obtained, in violation of the Fourth Amendment, then it may be possible for your defense counsel to prevent such evidence from being introduced at Court. Other issues which arise relate to what one’s actual intent was. It will be necessary to hire an attorney who understands these types of issues and who can, in the event of a trial, adequately explain complicated topics to a jury. 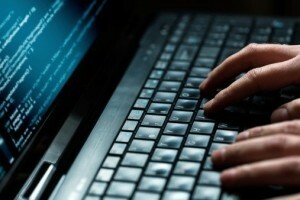 Bretton Barber aggressively defends Arizona residents facing cyber crime charges. He will immediately analyze the police reports and other information to determine what procedures were used by law enforcement to secure any evidence. He will file the necessary motions to request that such evidence not be introduced in the event it was collected without a search warrant. Bretton will consult with and retain the requisite experts so that your side of events can be adequately explained to the jury. He will be in regular contact with you throughout the process and will ensure that you are adequately prepared for trial. Our office understands the seriousness with which the prosecution treats such cases and we will match their level of intensity. Call our lawyer today. In addition to Phoenix we represent defendants in other Maricopa County cities such as Mesa, Glendale, Scottsdale, Chandler, and Gilbert. We also assist Pima County residents in Tucson. If you are charged with a cyber crime then you are understandably nervous. You may very well be facing the full strength of the United States government.The last thing you need is to worry about whether your attorney is performing his or her job. Bretton prioritizes attorney-client communication and understands your concern at a time like this. He regularly gives clients his personal cell number and interacts with clients outside of normal business hours. He will ensure that you are up to date as to the status of your case at all times. We are ready to assist you.